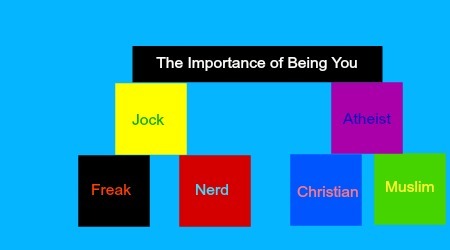 The Importance of Being You. We are all different. A bit of an obvious statement but in parts of the world being different isn’t accepted, expected, or tolerated in the slightest. If we were all meant to be the same it would be a very boring and no-point-in-free-will world. However, I may be the person that influences the person that does invent that something. We look at ourselves at times and since we are different from the norm we sometimes turn ourselves into the ultimate anti-norm we can, feeling that is what we are supposed to be. It is our badge of honor somehow. It pushes us away from society and love and friends and happiness. Perhaps being alone is your happiness, perhaps it’s your norm. But I don’t think complete and total alone-ness is anyone’s norm. Yes, society is part of the problem of our lack of acceptance of who we are. You may be a lover of punk rock with Goth influences and love watching Harry Potter while eating cotton candy. And you read Fifty Shades to discover how not to write a book for quality but for sensationalist salesmanship of secret desires you would like to explore but are ashamed to admit. If you admit all of that, people will look at you strangely and that look influences you without you even realizing at times. But there is something you are missing. You are important as you. If you like to wear Polo shirts and khaki pants plus do all those things above then do it. Why, because that’s you. You are your norm. The only norm in the universe is what people are meant to be. Not what a society expects people to be. The importance of being you is that you are meant to influence something in this world for something good. This isn’t to say you are to intentionally go about seeking out what that is. Just. Be. You. As a teacher I know of what I speak. There may be something I said that made an impact in a student’s life that then brought about something in them that then led to something in another and so on. The power of positivity in life is an expanding phenomenon. It’s a building block on top of another and another and another leading to something. One harsh word, one sarcastic barb, one insensitive comment at the wrong time and you, yes you, may push a person over a line. What is that line? Perhaps it is not going to college, not getting a job, committing suicide . . . not asking for help . . . not asking for help again. Whatever you are, that’s the line you should take without embarrassment or shame or feeling awkward. The ultimate expression of love—to me—would be to be you and not an imitator or fake. Truth is love. Therefore, you being who you are is love and that is so important in this world. Once you realize it’s okay to be you, it’s the norm to be you, then you recognize and accept it’s okay and the norm for other people to be themselves is okay as well. The norm is in each form. 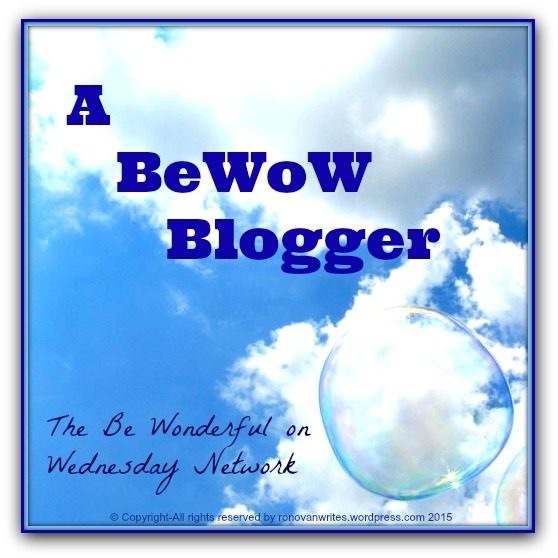 For my first post in my BeWoW series click Get Positive: Sorting Your Life’s Junk. I thought I would add a little mention after a reader thought of the above article. Do not think that if your norm is to be a murderer or child molester is something that would be considered positive on the world. The I idea someone might consider those lines of behavior as norms of positivity that I would think of never occurred to me and thus never entered the original article above. As a follow up to this post I wrote Encouragement as a Norm not an Exception the very next day.